Cement products are very much an integral part of your home. Time spent now will be an investment in your future. 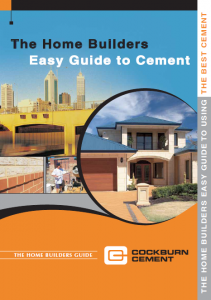 Check out our Home Builders Guide where we have listed the best products available in WA and where to use them for the best result.